Bellows are a flexible piping element. 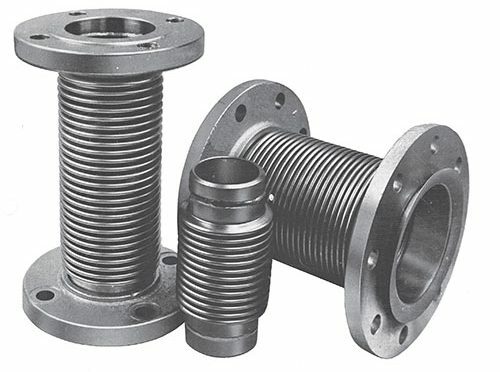 The corrugation of the expansion joint is designed to be flexible in order to absorb pipe expansion and contraction due to changes in temperature. The number of corrugation of bellows is decided according to the displacement amount and the expansionary and contracting force that the bellows have to absorb. Bellows have to be strong to the design pressure an operating pressure of piping and pressure and installation and they also have to be flexible to absorb thermal movement. The thrust force of the flow In the piping has to be buttressed by things other than bellows.